This board is introduced by Korean Spring-Orchid(Cym. 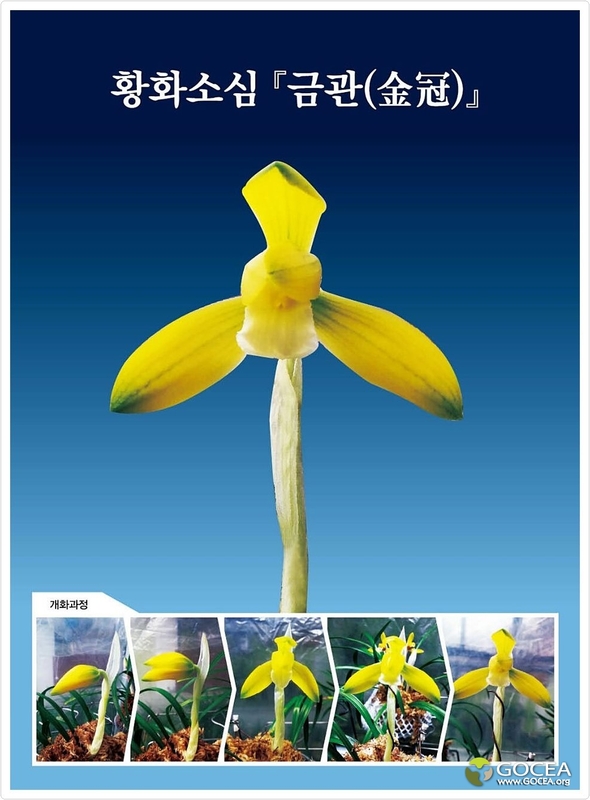 Goeringii REI) Flowers registration species list. 특징 : 중엽에 중수엽의 연록색 청무지엽이다. 신아출아시 연황색으로 출아. 꽃은 조기 차광 화통관리 하며, 2월초에 화통을 제거한다. 명명유래 : 태왕을 상징하는 뜻으로 금관(金冠이라 명명함. 국내에서는 아직 접해보지 못한 품종입니다.